2014 has been a very important year for the SITES® program and we can't believe how fast it has gone by! From the release of the new SITES v2 Rating System and Reference Guide, to the first ever SITES v2 professional education, this has been a year of milestones. Many thanks for your continued support and interest in creating healthy landscapes and promoting resilient communities. We especially thank the many technical advisors and pilot projects that helped to shape and inform SITES v2, and those of you that are already following the new SITES v2 guidelines. After eight years of research and development, the new SITES v2 Rating System and accompanying Reference Guide were released to the public in June 2014. SITES v2 is the only fully tested rating system available for all types of land design and development projects, created by over 70 technical advisors and experts in fields ranging from landscape architecture, horticulture, ecology, social science, hydrology, and more. 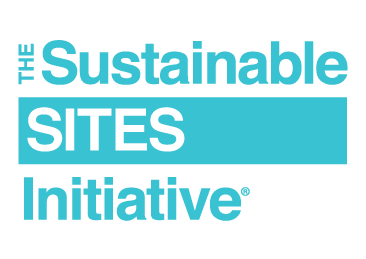 SITES v2 contains comprehensive guidelines and performance-based benchmarks for site sustainability based on the best available science and professional practice. The Rating System and Reference Guide are available here. Many who are new to SITES, as well as many professionals preparing for future certification, have requested more information and education about the SITES v2 Rating System. In response we were able to provide two new webinar series this past fall. This introductory series includes important information for anyone seeking to learn more about sustainable land practices and the benefits of sustainable landscapes. Developed in collaboration with the United States Botanic Garden, these five free webinars give relevant, current information about the SITES program, introduce audiences to the SITES v2 Rating System, and provide insights into the synergies between SITES v2 and the LEED v4 Rating Systems. The webinars are available on-demand here. This in-depth series includes research, instruction, tips, and strategies for navigating the SITES v2 Rating System section-by-section. The nine-part series closely examines strategies such as restoring soils, managing stormwater, using native and appropriate vegetation, exploring the life cycle of materials, and designing a project in order to maximize its human health and well-being potential. The webinars began on Sept. 10 with the final webinar airing Dec. 17. The field test of the SITES Guidelines and Performand Benchmarks 2009 (i.e. SITES 2009 Rating System) was invaluable in improving and streamlining the SITES credits, as well as informing the review and certification process. Originally a two-year endeavor that provided staff support to participating projects from 2010-2012, the projects were allowed additional time to finish construction and submit their documentation for review. This month marked the last deadline for pilot projects to be considered for pilot certification per the requirements of the 2009 Rating System. We received quite a few submissions and will be announcing the final batch of certified pilot projects in early 2015. To-date 34 projects have been certified with one- to four-star Pilot certification levels. Case study information about each project can be found here. SITES staff and technical advisors present at numerous conferences nation-wide, and even internationally! To see the most up-to-date list of where we'll be, visit us here. SITES wishes everyone a safe and happy holiday season! Thank you all for making 2014 a success!